(SACRAMENTO, CA, 12/14/18) – The Council on American Islamic Relations, California Chapter (CAIR-CA), is urging all Americans to contact their congressional representatives to demand that Shaima Swileh, a Yemeni national who currently lives in Egypt, be granted a "Muslim Ban" waiver to allow her to be with her 2-year-old son Abdullah Hassan, who is currently being kept alive by life support at UCSF Benioff Children's Hospital in Oakland. CAIR-CA also asks that everyone directly email the U.S. Embassy in Cairo - CairoIV@state.gov - demanding that a Muslim Ban waiver be granted to Shaima immediately. Even though Shaima's husband, Ali Hassan, and son are both U.S. citizens, she is unable to come to the United States to be with her ailing child and her husband because of the Muslim Ban. She has applied for a waiver and multiple expedite requests have been submitted, but the waiver is still pending despite her child’s life hanging in the balance. Shaima finds herself trapped in Egypt, desperate to be reunited with Abdullah, whom she has not seen in months. 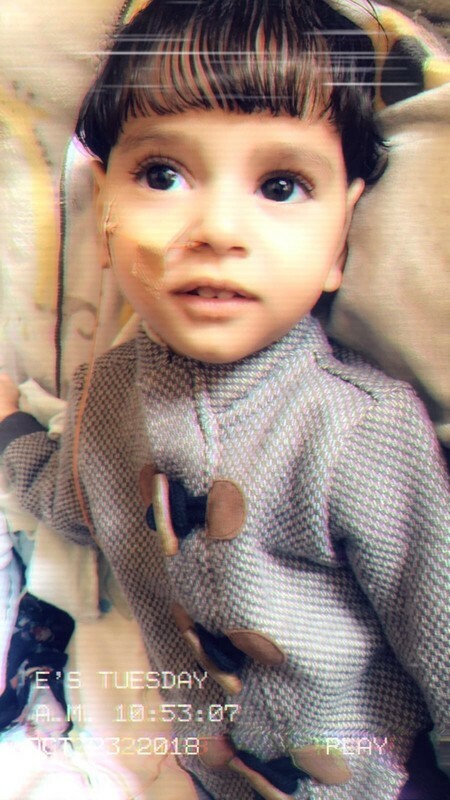 Doctors have indicated Abdullah’s body may not be able to withstand life support for much longer, meaning time is running out for his mother who hasn’t seen or held her child since he left for treatment. In a statement, CAIR-Sacramento Valley Civil Rights Attorney Saad Sweilem said, “Our hearts are breaking for this family. The loss of a child is something no parent should experience, but not being able to be there in your child’s last moments is unfathomably cruel." As Abdullah's health declines each day, his mother's hopes to see and hold her child one last time continue to fade. When Shaima sent her son to receive treatment in America, she did not expect it to be a final farewell. Help us reunite Shaima and Abdullah before it's too late, by sharing her story, signing our action alert and emailing the Embassy today. "Hello, my name is [YOUR NAME] and I am calling to urge Congress Member [NAME OF CONGRESS MEMBER] to Demand that the Department of State and U.S. Embassy of Cairo grant Shaima Swileh's "Muslim Ban" waiver in order to allow her to be with her dying son, Abdullah Hassan. Ms. Swileh has been waiting for over a year and is running out of time. Doctors at UCSF Benioff Children’s Hospital have indicated that young Abdullah's body cannot withstand life support for much longer. They have indicated that Abdullah may only have days left before he can no longer withstand life support without pain and suffering. I urge you to do everything in your power to put politics aside, and reunite this mother with her dying son, before it is too late." CAIR is America's largest Muslim civil liberties and advocacy organization. Its mission is to enhance the understanding of Islam, protect civil rights, promote justice, and empower American Muslims.